Relaxing Yoga Retreats 2017 - Yoga Grove - Small classes. Big difference. 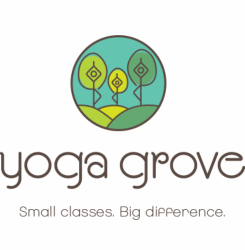 Join Yoga Grove on retreat in 2018! Our reknown retreats are designed to inspire and deeply nourish you physically and emotionally. Come get away this year to de-stress completely and turn your focus inward, to a place where you're given the space and time to learn and develop your yoga and mediation practice. Leslie's retreats include yoga, meditation and pranayama practices, inspiring and practical lectures and workshops on philosophy and practice, as well as her signature small group deep-release restorative yoga classes (often with the added luxury of massage). ​This indulgent weekend retreat is designed to help you both re-energize and deeply relax, restoring and nourishing your mind, body and spirit. Throughout your stay, enjoy sumptuous vegetarian meals that will help you feel deeply nourished and energized. You may wish to go cross-country skiing, snowshoeing or hiking the many trails through the wilderness surrounding the facility, or simply sit by the cozy fire with a good book. We will be offering daily meditation classes, gentle yoga classes, workshops on Yoga Philosophy and Restorative Yoga, and Yoga Grove's signature Restorative Yoga with Massage class - so you can choose to do as little or as much as you like. Highly extolled by past participants, our Restorative Yoga with Massage class is the ultimate in relaxation. Enjoy soothing music, essential oils, and massage while you are draped in cotton blankets and relaxing deeply in fully supported restorative yoga poses. This class will be done at separate times in small groups, ensuring maximum personal attention for everyone. This mini-vacation is designed to help you rest and restore completely.​ And our all-inclusive price includes meals, accommodation, classes and workshops. No prior yoga experience is necessary, and all activities are optional, should you decide that sleeping in is your yoga for the morning. Understand why Leslie's Restorative and Meditation retreats have become so popular by experiencing first-hand how deeply relaxing, truly inspiring and uniquely enriching they are - by escaping to Sugar Ridge with us this winter! Sugar Ridge Retreat Centre was created to provide a place for people to reconnect with a part of themselves that may be neglected or hidden, to connect with others, or just get away and have some fun! Located on 150 acres of majestic maple and cedar forests, lush meadows and surrounded by 3000 acres of provincial land, you can breathe fresh air, sleep deeply and feel revitalized just by being here. There are 20 km of trails accessible from the property for hiking, snowshoeing and cross-country skiing, so you can explore for hours in the serenity of the snow-covered wilderness. When retreating, simplifying is important. There are 10 cabins for accommodation nestled into the lush beauty and quiet of natural surroundings, allowing you to get out of the mindset of your everyday life. The cabins are intentionally simple, yet comfortable. Beds are comfy and duvets are snuggly. Each has lots of natural light, electricity and are heated for the cooler weather. All lovingly hand-made, meals are vegetarian, wholesome and delicious, and include as many organic and local ingredients as possible. Tea and light snacks are available 24 hours a day. Visit sugarridge.ca for more details. Registration: There are a limited number of spots available so register early! Most accommodation is shared, with up to 4 people to a room. ​There are a limited number of semi-private spots available as well. Cancellation Policy: Full refund (less $100 deposit) up to December 31st. Non-refundable after January 1st. ​This indulgent mid-week retreat is designed to help you both re-energize and deeply relax, restoring and nourishing your mind, body and spirit. Throughout your stay, enjoy sumptuous vegetarian meals that will help you feel fresh and energized. You may wish to paddle by canoe or kayak, jump on the water trampoline, swim in the river, or take an infrared sauna in the lodge. Join Leslie Buback and Emily Bartlett in daily meditation classes, gentle yoga classes, workshops on Yoga Philosophy and Restorative Yoga, and Yoga Grove's signature Restorative Yoga with Massage class. Our all-inclusive price includes all meals, accommodation, classes and workshops. No prior yoga experience is necessary, and all activities are optional, should you decide that sleeping in is your yoga for the morning. Experience deep emotional and physical release as you immerse yourself in yoga, meditation and nutrition, away from it all amid the calm, serene beauty of Wolfe Island in its summer splendour. Retreat to an Island Getaway! Shanti Retreat Centre is located on beautiful Wolfe Island, near Kingston, the gateway to the Thousand Islands. The spacious century inn and cabins are located on a tranquil 11 acre property. There are sweeping views of the St. Lawrence and memorable sunsets from the outdoor dining patio. Relax in the comfort, warmth, and coziness of guest rooms decorated in themes inspired by travels and connection with matters of the spirit. Shanti offers shared accommodation with either a water or garden view, all with private bathrooms. We also offer the option to tent on the property. Registration: There are a limited number of spots available so register early! Most accommodation is shared, with 3-4 people to a room. ​There are a limited number of semi-private spots available as well. Cancellation Policy: Full refund (less $100 deposit) up to May 15th. 50% refunded for cancellations up to June 15th. Non-refundable after that. This indulgent mid-week retreat is designed to help you both re-energize and deeply relax, restoring and nourishing your mind, body and spirit. Throughout your stay, enjoy sumptuous vegetarian meals that will help you feel fresh and energized. You may wish to paddle by canoe or kayak, jump on the water trampoline, swim in the river, or take an infrared sauna in the lodge. Enjoy daily meditation classes, gentle yoga classes, workshops on Yoga Philosophy and Restorative Yoga, and Yoga Grove's signature Restorative Yoga with Massage class. Cancellation Policy: Full refund (less $100 deposit) up to August 15th. 50% refunded for cancellations up to September 15th. Non-refundable after then.